There are a wide range of abused drugs, from plants like marijuana and mushrooms to man made chemicals like methamphetamine and heroin to production pharmaceuticals like oxycodone and cocaine to the more common alcohol and nicotine. The most popular abused drugs are listed below. Each drug listed can be detected for the presence of that drug in human urine (most can currently be detected in a saliva drug test). Each drug test comes in a sealed, single use pouch. For a more complete and detailed listing of abused drugs, see Commonly Abused Drugs. Substance Drug Test - do you have an unknown substance? With our Substance Drug Test you can determine if that substance is a drug. Use our Surface Drug Test to see if a particular surface has had drugs on it. Also check to see if a wall, baseboard, etc. has been exposed to methamphetamine (was it a meth house or a meth lab?). Also known as (a.k.a. ): Pot, Marijuana, Mary Jane, Weed, Hash, Dro, Fire. 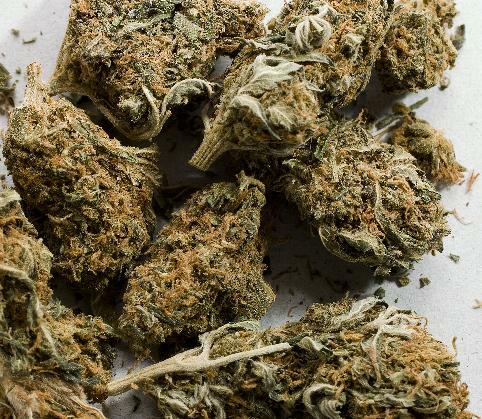 Cannabis, known as marijuana or ganja in its herbal form and hashish in its resinous form, is a psychoactive product of the plant Cannabis sativa. The major biologically active chemical compound in cannabis is Δ9-tetrahydrocannabinol, commonly referred to as THC. The state of intoxication due to cannabis consumption is colloquially known as a "high"; it is the state where mental and physical facilities are noticeably altered due to the consumption of cannabis. a.k.a. : Meth, Ice, Crank, Shard, Crystal. Methamphetamine (methylamphetamine or desoxyephedrine), popularly shortened to meth, is a psychostimulant and sympathomimetic drug. 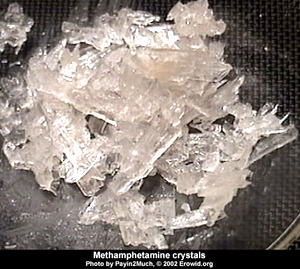 "Crystal meth" refers to the crystalline, smokeable form of the drug and is not used for the drug in pill or powdered form. 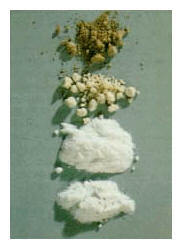 Cocaine is a crystalline tropane alkaloid that is obtained from the leaves of the coca plant. The name comes from the name of the coca plant in addition to the alkaloid suffix -ine, forming cocaine. It is both a stimulant of the central nervous system and an appetite suppressant, giving rise to what has been described as a euphoric sense of happiness and increased energy. a.k.a. : Heroin, Smack, Tar, Horse, Chiva. An opioid is a chemical substance that has a morphine-like action in the body. The main use is for pain relief. 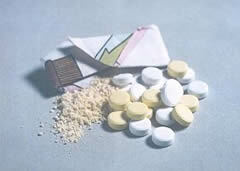 Opiates can be obtained either legally through a prescription or illegally by the purchase of heroin. a.k.a. : Angel Dust, Magic Dust. Phencyclidine (a contraction of the chemical name phenylcyclohexylpiperidine), abbreviated PCP, is a dissociative drug formerly used as an anesthetic agent, exhibiting hallucinogenic and neurotoxic effects. It is commonly known as Angel Dust. Once a very popular drug of abuse, PCP use has waned considerably with the introduction of newer and more powerful hallucinogenic drugs. MDMA (3,4-methylenedioxy-N-methylamphetamine), most commonly known today by the street name ecstasy, (often abbreviated to E, X, or XTC) is a semi synthetic entactogen of the phenethylamine family. 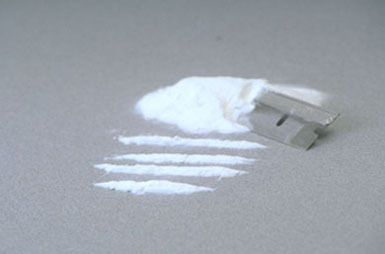 It is considered a recreational drug, and has long had a strong association with the rave culture. 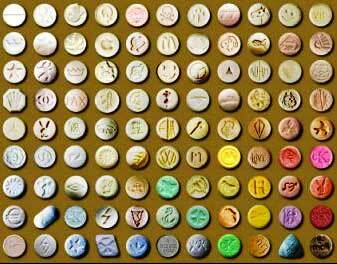 MDMA is illegal in most countries, and its possession, manufacture or sale may result in criminal prosecution. a.k.a. : Dexies, Pep Pills, Pixies. Amphetamine is a prescription stimulant commonly used to treat Attention-deficit hyperactivity disorder (ADHD) in adults and children. It is also used to treat symptoms of traumatic brain injury and the daytime drowsiness symptoms of narcolepsy and chronic fatigue syndrome. Initially it was more popularly used to diminish the appetite and to control weight. a.k.a. : Barbs, Idiot Pills, Stumblers. 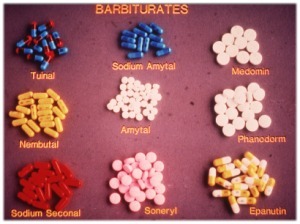 Barbiturates are drugs that act as central nervous system depressants, and by virtue of this they produce a wide spectrum of effects, from mild sedation to anesthesia. Some are also used as anticonvulsants. While once very widely abused, in the last couple of years, Barbiturates are rapidly being replaced by Benzodiazepines as the drug of choice by many drug users.